In Italy, the region of Liguria is famous for its long and beautiful seacoast, and for two of the country's best-loved foods. It is also a wonderful place for walking. There are miles of great footpaths taking you all over the wooded hills of this largely rural region. The views are terrific, and you can spend your day in beautiful countryside while never being far from a village and a little bar or restaurant. Let's deal with the food first. Liguria is the home of pesto sauce, which is now appreciated all over the world. The capital Genoa, or Genova in Italian, gave its name to the dish 'spaghetti alla Genovese', which is a mix of spaghetti, diced potatoes, and French beans in a pesto sauce topped with a sprinkling of parmesan cheese. Liguria is also home to the bread called 'focaccia' which you can buy elsewhere in Italy, and even abroad, but which never tastes as good as it does in the region. One of the most visited and beautiful areas of Italy lies on the western coast of the archipelagic nation in the region of Tuscany. Villas here are great for allowing you easy and ready access to discover the smaller towns outside of the major centres, and the Renaissance hotspots such as Florence, Pisa, and Sienna. While you are in the countryside of the region you should take the time to visit some of the smaller towns and cities that help to make up this interesting and beautiful area. Be sure to spend a day in Montepulciano, Prato, and Pescia, testing out some of the local products and experiencing the historical flair. Almost every part of the world has its museums, and this also applies to Tuscany. Villas in this region of Italy allow people to arrange holidays and explore the area and visit many of the museums they find along the way. If you are planning a holiday in the region, consider the following suggestions - these are some of the best museums to see while you are there. It seems hard to believe today that it was the excess of bachelors during the eighteenth century what gave birth to one of the most representative figures of the century of Lights in Italy, and specially in Venice. However, this was the real reason that lead to the existence of the cicisbeo, the gallant partner, not married to the noble lady who is often represented in important paintings of the period as a main character or as a secondary one. Most of the time, the cicisbeo was one of the younger sons of a noble family, bound to celibacy or the seminar for not being first-born. The latter owning all the family's property, the choice of the younger ones was between a life in the Church or a life of relative luxury next to a lady. Many, as one can expect, chose the last one. If you are staying in a Hyde Park hotel, London offers the chance to experience a variety of language use that you may find interesting - and depending upon where you come from, not always easy to understand! Here are a few examples of what you may hear. Monaco and Eze are great day trip destinations from Nice. Some of the highlights here are the changing of the guard at the Monte Carlo palace, a look at the famous Formula One Grand Prix race course, and a tour of an Eze perfumery. The drive to Eze from Nice is very pretty, as it follows the Mediterranean coast. En route, a pit stop to admire the panoramic views of Nice from Mount Boron is recommended. Eze is quite high above sea level, lending it brilliant views over the surrounding landscapes. There are some very interesting craft shops here too. Once you continue on, you are leaving French territory and entering Monaco. While wandering around the fascinating Old Town of Monte Carlo, you must visit the palace, cathedral and Cousteau Oceanographic Museum. Casino Square is the place for designer boutiques. Admire the amazing gardens and incredibly luxurious yachts moored in the harbour. On the return journey back to Nice, follow the breathtaking Lower Corniche coast road that links it to Monaco. It is no secret that most people love pizza. It is one of those uncommon foods that really can't be denied or spoken badly about in general. It is extremely rare to hear someone say that they do not like or enjoy a slice of pizza. It simply does not happen. People from all different cities all over the world know a local spot where they prefer to get their pizza. As we all know, when that craving hits, nothing else can satisfy it like a pizza. Below are four of the best places to go for amazing pizza. If you are planning a long distance move to any of these places, American Van Lines is the team to get you there with peace of mind. London may be one of the greatest travel destinations in the world. There are so many interesting and beautiful attractions in London related to its long and fascinating history. Included in the long list of things that make this city great for tourism is its culture, the museums and galleries, many great shopping opportunities, the huge variety of restaurants and pubs, and the number of 5-star hotels in London. London is a huge city that is divided into two main centres. The western portion is near the River Thames, the Houses of Parliament, and Buckingham Palace. The City of London is to the east. The city's best known and most popular sights are in the area between these two main centres as are London's most bustling entertainment districts, Knightsbridge and Soho. Getting around London and sightseeing can be easy by using the underground train system called the Tube or on one of their famous red open top buses. However, so many of London's major sights are close enough together that you can walk between them, for instance Big Ben, Westminster Abbey and the Houses of Parliament. The Amalfi Coast in Italy has a lot of beautiful spots as wedding destinations. Some highly recommended wedding destinations in the coast are San Francesco Cloisters, Positano Town Hall, Sorrento Town Hall, Villa Fondi Sorrento and Ravello Town Hall. Having all these scenic places makes choosing a destination wedding in Amalfi Coast, Italy a little bit tricky. These glorious places never fail to fascinate even professional photographers in Italy. There is something remarkable about the Italian Lakes district of Northern Italy. So very close to the Italian and Swiss Alps, it is a lush and temperate paradise filled with plants and trees usually found only near the Mediterranean. Filled with the finest food and wine, the region's landscapes are truly breathtaking, and the experience of meeting and mingling with the locals is very special. If you want to see the lakes in all their beauty, then it is best to travel there between April and October. The weather is perfect, although it can get crowded through July and August, so be prepared to pay top dollar during this time. If you arrive at the lakes out of season, you will find that the ferry services are reduced, with some not running at all. Many restaurants close over the cooler months too. 'Romance languages' refer to languages that have their roots based in Latin, a commonly spoken language in ancient Rome. What could be more romantic than to have a wedding in the birthplace of all the Romance languages? When you book a wedding in a romantic location in Italy, you can expect rich cultural lessons, beautiful landscapes of all sorts, and incredible food. If you are considering booking one of many romantic wedding locations, consider some of the following options. Let Como's funicular railway take you up 500 metres - funiculi, funiculaagh! These top ten myths often discourage even the most adventurous of couples and while there are challenges when planning a destination wedding in Italy, most are very manageable and well worth the effort. Below are the ten of the most common concerns of brides and grooms and the reasons why you shouldn't let them stop you from planning your dream wedding in Italy. When asked to suggest The most romantic city in the world most people will say Paris, evoking precious seemingly long gone romantic memories. Paris with it's seductive backdrop is certain to rekindle the magic of romance of the past or indeed encourage an excitement for one to embark upon a "dangerous liaison". Experience the romance of a weekend visit to Paris where you can gaze adoringly at the Pont Des Arts from the 1st and the arrondissements. Take in the most romantic view in the world, a 360 degree panoramic view of the famous Paris sights of "Ile de la Cite", and of course "the Louvre", while surrounded by the reflective dancing colours of the river Seine. Only replacing such breathtaking surroundings long enough to lovingly gaze into your companions eyes. No trip to Paris can ever be complete without visiting the most famous land marks in the world - The Eiffel Tower and of course Notre Dame as featured in the great movie "The Hunchback of Notre Dame" Visit the charming artists haunt, Montmartre, with its quaint, winding streets and pretty squares, dominated by the glorious Basilica of Sacre Coeur. If you are fanatical about soccer, as you read through this article you're going to learn that it's easier than you think to travel to Rome, and see a classic soccer match, with the fans of Roma or Lazio at your side. Wouldn't it be amazing to tell your friends that you were there, in the Stadio Olimpico, when the winning goal was scored! Whether you are coming to Rome on vacation or business, you simply have to experience the thrill of a football match! 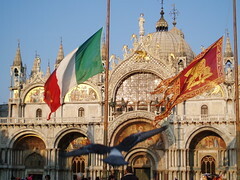 Rome soccer tour packages give you tickets to AS Roma or SS Lazio home games, hotel accommodation and breakfast daily. But don't delay, tickets sell out quickly because both teams attract fanatical support. The Stadio Olimpico is home to both Roma and Lazio and was built for the 1960 Olympic games. An impressive 82,000 plus venue it has housed European Cup Finals and the 1990 World Cup Final. It is also the first choice home of the Italian national team, and a great venue for these Rome soccer tours. Is Bellagio the Best Looking Resort at Lake Como, Italy? Seen from the water, Bellagio is undoubtedly the best-looking resort on the Lake. This is partly to do with its unique location - neither on the eastern nor the western side but on a promontory in the middle, where the Lake divides into two 'legs'. You might say that Bellagio nestles in the crotch of the Lake. On the other hand, you might not. Because it's located a little way down the western side of the promontory, Bellagio faces you 'square on' as you approach it on a ferry boat from Menaggio or Cadenabbia. And because the hills on the promontory are (relatively) small, the town's handsome arrangement of red roofs and yellow, pink and white walls sits rather grandly in front of gently rounded, green slopes. It's one of the best examples of that harmony of nature and architecture that gives Lake Como its special appeal - striking enough to earn Bellagio the title of 'the pearl of the Lake'. But just to ward off any potential challenger for the title, the high mountains of the eastern branch contribute a spectacular, distant background to complete the perfect view. Easter is an ancient holiday that is celebrated in many countries. For Christians, it is the commemoration of the death and rebirth of Jesus Christ. However, Easter has deep roots and traditions that go back well before Christianity (which is 2000 years old). The word Easter comes from Eostre, the ancient Germanic goddess of spring (popular from the 6th century BC). Eostre found a colorful bird that was too injured to be able to fly again, so she turned it into a rabbit. Amazingly, the rabbit kept the ability to lay eggs. To say thank you, the rabbit gave Eostre a basket of her colorful eggs as a gift. In kind, followers of Eostre honored spring with gifts of colorful bird eggs. This tradition spread throughout Europe and did not change until the mid 1800's when European manufacturers began to produce chocolate eggs. The chocolate was very popular and the custom evolved, so that today it is common to give baskets of chocolate Easter eggs. Migrants to the United States, Australia and other countries brought the folk tale and tradition with them. If you look even further back than the legend of Eostre, you can find plenty evidence of ancient cultures decorating and giving eggs in Spring. For more than 3000 years, the Chinese have been painting eggs red for spring festivals, the Zorastrians (Middle East - 2500 years ago) offered colored eggs on their New Year's Eve which is at the start of spring, and the Druids (Western Europe - 6000 years ago) used them in ceremonies held on the spring equinox (when day and night are of equal length). Incredibly, a large stash of 60, 000 year old ostrich egg shells found at Diepkloof Rock Shelter in South Africa had detailed patterns scratched onto them. Today, Easter is celebrated in many countries, in many ways. Pizzelle is an Italian waffle cookie that is especially popular around Easter and Christmas. They are fairly large, at around five inches, and are usually made one or two at a time. It is traditionally made with a pizzelle maker, similar to a waffle iron, held by hand over a stove burner. With the creation of electric irons, they are becoming a popular snack for people who lack the time to prepare them in the old fashioned way. The irons leave a snowflake pattern on the cookies. If you are going to make these cookies by hand, you'll need flour, sugar, eggs, and butter, margarine, or vegetable oil. You'll also need flavoring. Common flavorings include anise, vanilla, lemon zest, chocolate, cinnamon, and orange. If you don't have the time or inclination to cook but still want fresh cookies, you can also buy a pizzelle mix. In some grocery stores, you can buy premade pizzelles. There are many comparable cookies in various regions. Krumkakes from Norway are quite similar. The pizzelle is thought to be based on the crustulum, which is an ancient Roman cookie. Although pizzelle is the most common name, in the Lazio, Italy area they are called ferratelle and in Molise they might also be called cancelle. Pizzelles can be eaten in a variety of ways. Sometimes they are had as flat cookies. They are often crunchy, but they can also be prepared in a way to make them chewy and soft. A wooden dowel can be used when they are fresh to roll the pastry into a cone shape. This pastry can then be filled with cannoli cream or another filling. A filling can also be spread on them while flat to make a sandwich cookie. While they can be eaten year round, they are mostly known for special occasions. These include the Christmas season and Easter weekend. Italian weddings are also a common place where these are found. However, since technology makes it easier to cook fresh ones at home with little effort, they are gaining popularity as a treat that can be eaten at any time. Though they may always be most prevalent in Italian households, they are gaining mainstream appeal. If local grocery stores don't carry them prepackaged, they can always be purchased over the internet. Pizzelle bakers have made it simply for anyone to make up a stack of cookies on a Sunday morning. They are good both fresh and after they have cooled. The best way to have these cookies is freshly baked. If you are looking for a pizzelle cookie maker that will save you time in the kitchen, consider the VillaWare pizzelle maker. The Italian spring begins early, particularly in the south. City streets and main sights are rarely over crowded (except at Easter in Rome). The weather, however, can be unpredictable and wet in the central and northern parts of the country. Spring specialties, such as asparagus, spinach, and rocket, begin to feature on restaurant menus. This is a season of great celebration; festivals and fairs abound, especially in Sicily, and the Easter papal address always draws massive crowds to St. Peter's. Mostra Vini Spumanti, (mid- Mar), Madonna di Campiglio, Trentino-Alto Adige. Fair celebrating sparkling wine. In Central Italy's region of Le Marche we are all abuzz for Easter! The butchers began taking orders for lamb days ago, our neighbor Pia has made dozens of the traditional Easter bread slowly cooked in a wood burning oven and the villagers are ready for the festivals of Holy Week. Le nonne (the grandmother's) are busy baking crescia di pasqua, a local Marche Easter bread in two types: sweet or dolce and the more common savory, brusca. What is becoming an annual tradition of mine, I stopped off early Wednesday morning at our neighbor Pia's house to visit with her and marvel at the 50 + loaves she had rising about the house (using over 200 eggs and about 6lbs of cheese). The most incredible scene was in the bedroom: the special dolce (sweet) bread was snuggled up, wrapped tightly under layers of blankets (including an electric blanket) in their bed! Kept warm, safe & sound to rise slowly. Before electric blankets they used coals from the fire. Other pots were nestled about the house around the fireplaces, stove & couch all huddled together. After a day of rising I returned that afternoon, Olavio had built the perfect fire for the bread in their outdoor wood burning oven. Twenty five loaves of bread in at a time - now that's an oven! I had timed it just right, arriving as they are pulling out the first loaf of bread! Pia admired her work & the beautiful toasty golden color - brava! 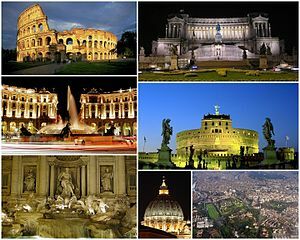 Rome isn't exactly renowned for being the cheapest of cities to take a holiday in. Unfortunately, despite the imminent recession the credit crunch hasn't dampened people's desire to visit this expensive city. Help is at hand: I've been a Rome shuttle driver for more years than I care to remember, and have picked up a great deal of insider knowledge that should help you get by on - well, if not a shoestring budget, then at least significantly cheaper than you'd expect to pay. While there are many people who might enjoy a wonderful holiday with a Chianti villa rental, there is one subsection of the general populace who find it particularly appealing - ampelographers! Confused? Don't worry - if you've never heard it before, ampelography is just the term for the field of botany which studies the classification and identification of grapevines. As a scientific discipline, it grew to prominence in the 19th century, as it became important to gain a greater knowledge of grapevines in the face of diseases and pests such as phylloxera. The grape vine is an extremely mutable species, making the study of it absolutely fascinating - and its good news for wine lovers as well, as it allows the range of different vintages we enjoy today. An ampelographer visiting Chianti will find a lot to mull over while sampling the region's wines. Buckingham Palace - The London experience would not be complete without watching the Changing of the Guard at the Buckingham Palace. This is one of the highlights any tourist's visit to London. Watch the guards march towards Buckingham Palace clad with their red uniforms and Bearskins. The Bearskins are the black hats that the guards wear and weigh approximately 660 grams. The Changing of the Guard takes place at 11:30 AM almost daily. Check with your hotel for confirmed schedules. The London Eye - For great views of the city, the London Eye is a must-visit. Each revolution of the London Eye takes 30 minutes, the entire duration of which one is guaranteed to be treated to spectacular views of the city. Visitors board the capsules which revolve at a speed of 26 centimeters per second. The London Eye is open daily from 10 AM until 8 PM. It is highly recommended that you purchase your tickets online as the queues for the ticket booth may get long. Cruise the Thames - After your flight on the London Eye, why not take a river cruise along the Thames? Commentaries are available onboard. See Shakespeare's Globe Theater, the London and Tower Bridges, as well as the Tower of London. This is an experience that shouldn't be missed! As the birthplace of the Renaissance, and a place that is associated with the Florentine masters, such as Leonardo and Michelangelo, you might not think that beaches and seaside towns are the things that help make it one of the best regions in Italy. But in Tuscany, villas dot the landscape both in the interior and along the coastal areas and this type of accommodation makes it much easier to be able to stay in peaceful luxury, while not being limited to staying in one city for your entire visit. While you are in the area, you should take a tour of the beachside towns and enjoy the different atmosphere each offers. Be sure to visit Viareggio, Baratti, and Elba before returning to your villa. One of the best ways to make sure you get the most edible enjoyment out of your trip is to pair up the big sights with the local Italian markets. One of the best piazzas to visit in Rome is the Piazza Navona. Originally a competition arena, it now plays host to some exquisite architecture and sculptures. Piazza Navona is also surrounded by tourist-filled restaurants that spill out onto the square. If you feel peckish whilst at Piazza Navona and want to experience local Roman fare, Campo de'Fiori, just around the corner, is a must-see. Campo de'Fiori is a large outdoor market, brimming with fresh fruit and vegetables during the day, and providing a great meeting place in the evening with an abundance of cafés, bars and restaurants. If you are on your way to visit the Vatican City, the Trionfale market is a handy and inexpensive place to grab a bite to eat en route. The authentic Italian cuisine and great local atmosphere in these markets make them a much more authentic local experience than sitting in one of the tourist restaurants across the city.